A local newspaper once named this family business as the ‘best satay’. With both a pop-up restaurant at Coolsingel 141 and a Foodhallen stand at Wilhelminakade 58, you can savour their tender, perfectly-grilled satay ajam, or pork, lamb or veggie satays. 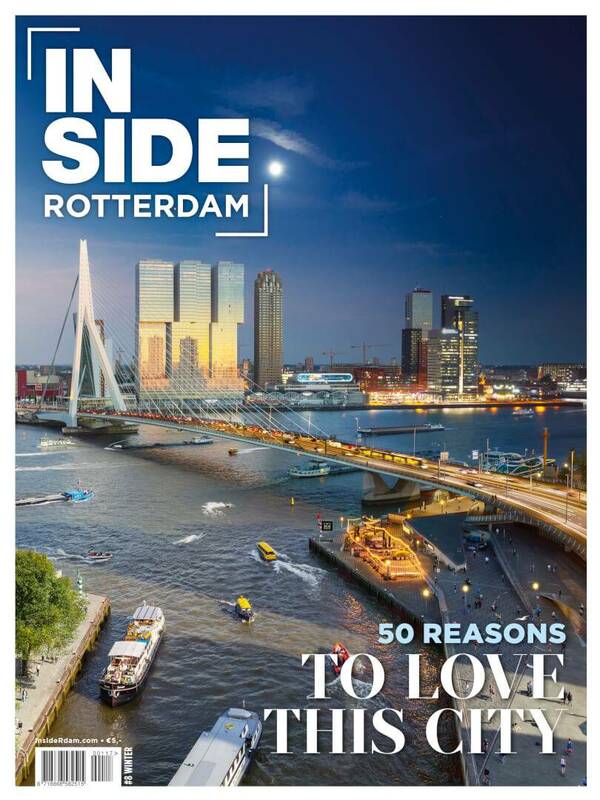 Another well-known Indonesian catering family with Indo-style restaurants at Grindweg 650 and Westerkade 20. 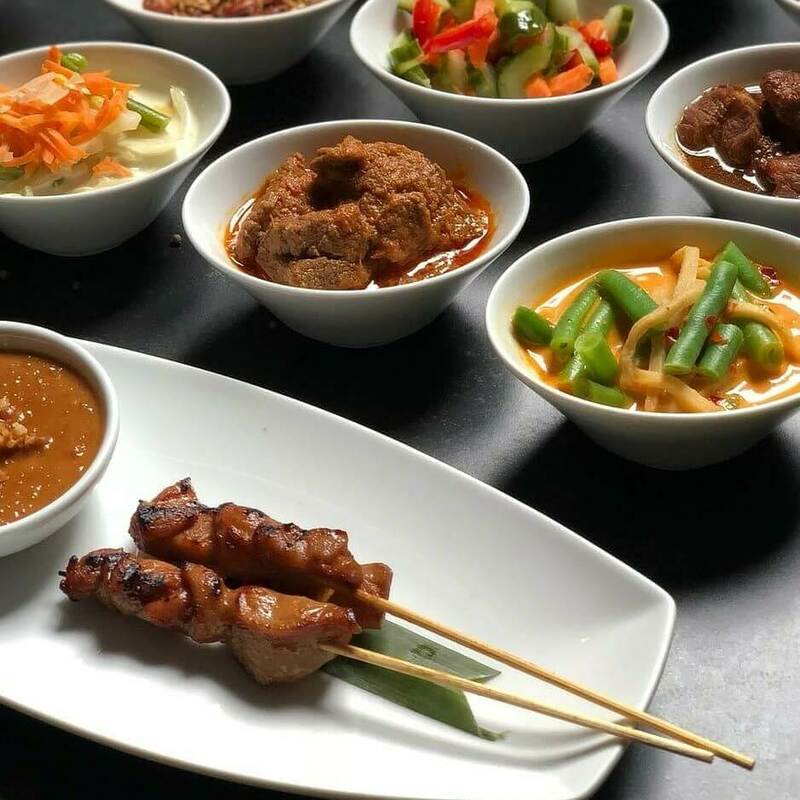 Choose from at least six different satays, including sweet marinated pork belly with mint salad and their delicious kambing with spicy soy sauce. A tiny warung located at Mathenesserdijk 412c. Wait for your takeaway in a retro-style living room on a sofa next to an old radiogram. If you’re lucky there might be room at the table to tuck into whatever the cook has on the go. Always fresh, Ap Halen is the Dutch version of Indonesian home cooking. 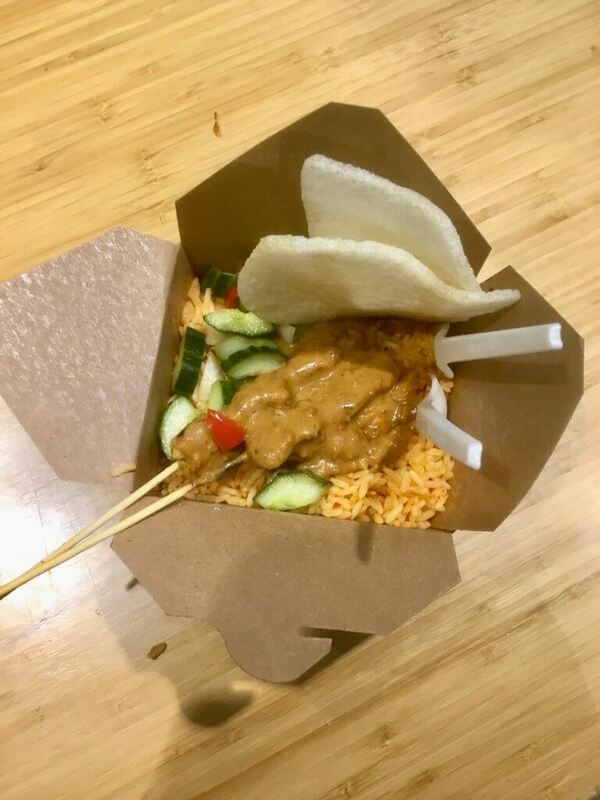 Sometimes satay is on the menu, or ‘lazy’ satay, where the meat is flipped and tossed in a wok rather than grilled on skewers. Is it being served today? Just call and ask: +31 (0) 619989513. The meat at Saté Lab is cut into small bite-size chunks making it easier to cook and eat. Marinated using a secret recipe and cooked over a real charcoal grill, this eatery at Pretorialaan 8A makes ‘the world’s tastiest satay’, in the words of the ‘Satay Man’ himself. There’s ajam, babi and udang (large marinated prawns) to choose from. 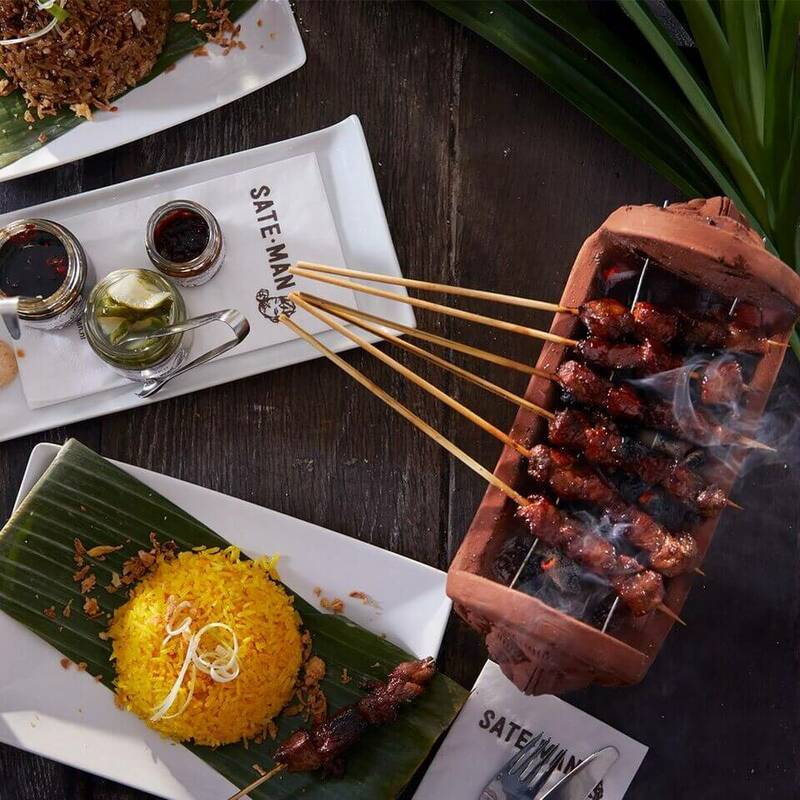 A nice touch: the satay is kept warm at your table in your own mini-grill. ‘Satay, served the best way’, advertises Satébar, a takeaway located in Rotterdam Centraal train station, where chicken or lamb satay with peanut or sweet soy sauce is served up in a cardboard container. There’s more to choose from at the other Satébar restaurants located at Witte de Withstraat 51A and Karel Doormanstraat 332. A cosy corner eatery located at Abraham Kuyperlaan 112B with an old-fashioned display case illustrating all the dishes on the menu. 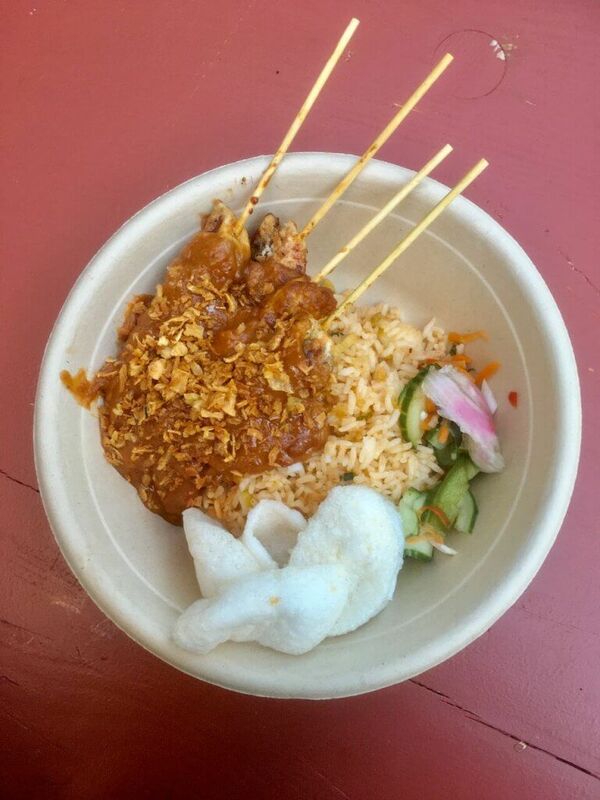 Satay is on the menu most days; usually ajam with peanut sauce and pickled cucumber. It may be cooked in the oven but it’s well-seasoned. The owner learnt Indonesian cooking from his grandmother: ‘A pinch of this, a mix of spices, a dash of sambal’ …Yum!